When buying or selling your home, lots of surprises can happen. Some can be “happy accidents” others can lead your dream home purchase into a nightmare! This is where having the expertise of a seasoned licensed real estate agents comes in handy! Recently, Vincent Properties’ Lee Gillette experienced a first for him: the discovery of a leaking underground gas tank. The detection of this (non) underground treasure almost lead to his housing deal going “belly up” but through Gillette’s diligence, the issue was all cleaned up in time for closing! Does your property or potential future home have an underground gas tank? Here are few things to know! Prior to the 1970’s, most houses used a heating system in which the fuel oil was stored in an above ground (AST) or underground (UST) storage tank. 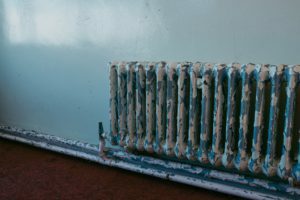 Nowadays, it is common for the current property owners to be unaware of the existence of an underground gas tanks since many of these older heating systems have been replaced over the years. Most new home owners have never had to deal with the fuel oil tanks themselves. Over time, it is extremely common for oil to leak from these USTs, impacting the underlying soil and potentially, the ground water. The presence of soil contamination is not always obvious and can go undetected for years. However, when leakage is discovered, State law requires immediate action to assess and cleanup the impacted soils. All environmental work must be carried out by a NC licensed geologist or engineer. I’m glad you asked. There are several actions that are required to take place if soil contamination is discovered. 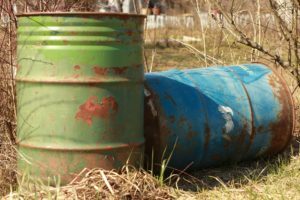 First, the leaking UST must be removed and all contaminated soil beneath the tank must be excavated and hauled off to a proper containment site. Finally, an environmental assessment must be completed as specified by State regulations. This work typically requires at least one month to complete and can cost upwards of $7,000. …if it is not possible to completely remove contaminated soil (exceeding applicable standards) from beneath the UST, a Notice of Residual Petroleum may then be required to be filed with the host county Register of Deeds office before the property may be legally conveyed or transferred pursuant to NCGS 143B-279.11 (d). This creates a cloud on the title which runs in perpetuity and essentially guarantees that a lender will not grant a mortgage on the contaminated property. This is very important information for both buyers and sellers as it can have a major impact on the value of your property.